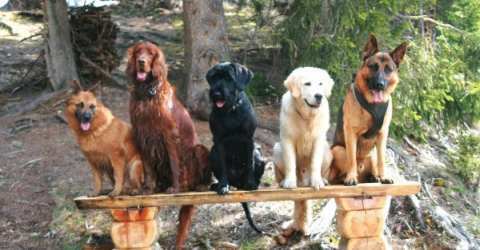 Basically, it is possible to take pets like a dog or a cat with you when travelling to Spain. For travelling within the EU therefore alsothe entry Spain, your animal strictly needs an anti-rabies inoculation. For travelling to Spain you require an anti-rabies inoculation which is less than one year old and issued at least 30 days before the entry. Also, it is necessary to have an EU-travelling pass and a health letter from the vet. For special dogs, a muzzle is required. Since July 3rd 2011, dogs, cats and ferrets must have a microchip implanted. A tattoo is not enough. You can take your dog with you on our city tours (not inside buildings). Dogs are not allowed during peak hours in the metro. This concerns the period between 11th September and 24th June from Mon-Fri from 07.00-09.30 and 17.00-19.00. Outside these times and on weekends, you can bring your dog with you. The only animals that are authorised to travel in the metro and busses are guide dogs and dogs accompanying security guards. These dogs have to wear muzzles at any time. Additionally the pet owner has to take special equipment such a plastic bags to clean up any contaminations caused by the dog. Other dogs are not allowed in public transportation like metro or bus. Basically, dogs, no matter how small, have to be held in a kennel on deck. If they wear a muzzle, you may be allowed to walk them on deck. They must not be taken to the cabin or left in the car. Not all ferries allow dogs. If a shipping company allowes to take along a dog or a cat, you can book this directly. Dogs are not allowed in sights. You are allowed to take a small dog which fits in a purse to the Camp Nou tour. On Barcelona.de you can also book hotels, in which your pet is allowed. Select "Show advanced options" and then click "Pets Allowed".